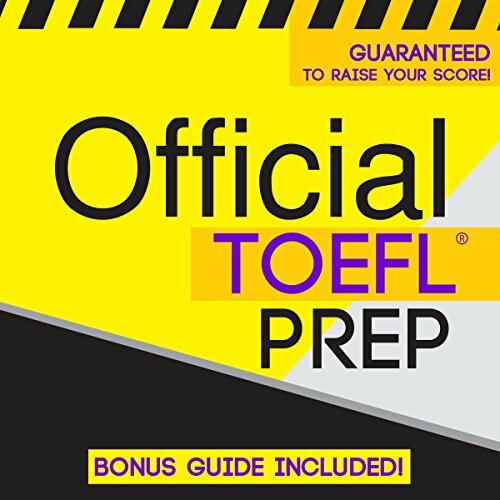 Official TOEFL Prep has everything you need to prepare and excel on the TOEFL! Now you can listen your way to a top score with this new TOEFL Course. This course covers everything from leading test taking skills and strategies to a high-yield review of Reading, Listening, Speaking and Writing portions of the TOEFL. This course is packed with main takeaways that are easy to remember and are key concepts for the TOEFL. Ingenious Mnemonics which help you easily remember important knowledge that always shows up on the TOEFL and Expert Question and Answer Sessions that test, reassure, and reinforce your knowledge of the material. This powerful TOEFL Course was created by expert TOEFL tutors and teachers who know the test and all its variations inside and out. The authors also know and share the very best ways to prepare for the test for maximum results. The audio is professionally narrated by leading voice-over artists for easy listening and learning. This course is great for anyone who learns by listening. Audio learners will find the presentation to be an exceptional learning experience that gives excellent preparation and guidance toward scoring high on the TOEFL, especially on the listening and speaking sections of the test. This 30+ hour course is perfect for commuters. It lets you study effectively while traveling to and from work or class. It eliminates the need to read while studying for the TOEFL and lets you relax while picturing concepts in your mind for better understanding and retention. TOEFL Vocabulary 500 - A complete review of the top 500 TOEFL vocabulary words! Interviewing Skills - An audio guide full of tips and tricks to help you succeed in an interview!